This ergonomic, LED desk lamp is a flicker-free and energy-saving light. It features a three step dimmer and aluminum construction. 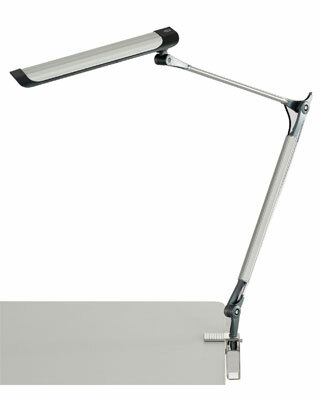 The Z-arm design adds aesthetic and the ability use with any workspace décor.